Tiger Shroff starrer Baaghi 2 enters the 150cr club! Maintaining its brilliant hold at the box office, Baaghi 2 collected 7.2cr ( Fri -1.75, Sat -2.5, Sun -2.95 ) nett at the box office in its third weekend there by taking the total collections to a 155.65cr nett in India. Powered by high octane action and stunts, Tiger Shroff's Baaghi 2 has not only entered the elite 150cr club but also entered into the list of Top-20 Bollywood grosser ever. Despite the biggest cricket tournament IPL and big release this week Tiger - Disha starrer has been steady at the box office. 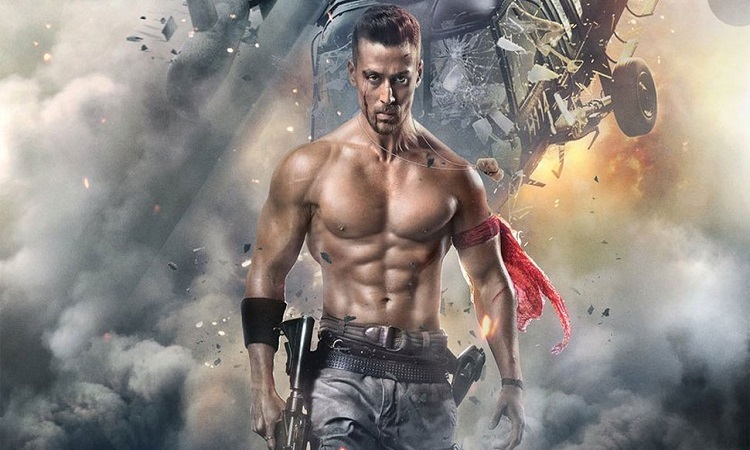 Sequel to the 2016's Baaghi, Baaghi 2 took the action a notch higher with its second instalment and enhanced the action for the audience showcasing Tiger Shroff in a more muscular avatar than the prequel. Tiger Shroff and Sajid Nadiadwala strike a hat-trick as the duo collaborated for the third time after delivering hit films like 'Heropanti' and 'Baaghi'. The action film brought to screen the fresh pair of Tiger Shroff and Disha Patani. 'Baaghi 2' also features Manoj Bajpayee, Randeep Hooda and Pratiek Babbar in pivotal roles. Co-Produced by Fox Star Studios and Sajid Nadiadwala under the banner name Nadiadwala Grandson Entertainment, 'Baaghi 2' is directed by Ahmed Khan and is running successfully worldwide. Anupam Kher bags the 6th position in the Most Influential Authors List Richa Chadha's 'Daas Dev' look is inspired by real-life politicians!